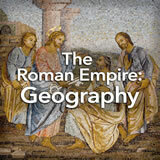 Students study the spread of Christianity in both the East and the West. First, they follow its spread through the pagan remnants of the Roman Empire and formerly barbarian lands. 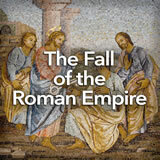 Next, they examine the growth and continuation of Christianity in the Eastern Roman‚ÄîByzantine‚ÄîEmpire. Then, they explain the reasons for the split between the two major branches of Christianity. Finally, they research and report on the impact of Christianity‚Äôs spread. 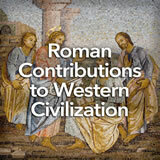 In this experience, students study the spread of Christianity in both the East and the West. First, they follow its spread through the pagan remnants of the Roman Empire and formerly barbarian lands. 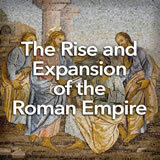 Next, they examine the growth and continuation of Christianity in the Eastern Roman—Byzantine—Empire. Then, they explain the reasons for the split between the two major branches of Christianity. Finally, they research and report on the impact of Christianity’s spread. Describe the spread of Christianity throughout Europe. Analyze the impact of Christianity on Europe. Christianity is the world’s largest religion. Have you ever wondered how it got that way? How did it spread from its origins throughout the world? 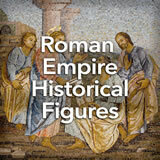 In this experience, you will trace the spread of early Christianity through Europe and the Middle East. Church of St. George in Lalibela, Ethiopia, 12th or 13th century C.E. Watch Animated Map Shows How Christianity Spread Across the World from the beginning to 0:36. Observe the purple area on the map and the timeline at the bottom of the screen. Follow how the purple area and the timeline are related. What historical information does the animation show? As necessary, clarify for students that the purple area shows the geographical spread of Christianity’s influence from its beginnings to about 2000 C.E. The purple area spreads as the time progresses. Interested students can follow the same historical process in more detail at The Rise of Christianity, available in the Student Pack.